We offer 20 double rooms with extra beds accommodating up to 4 people. The rooms are equipped with mini bars, air conditioning and cable TV. Bathrooms are equipped with hydro-massage showers. Two comfortable luxury rooms in ethno style are equipped with handmade furniture. Both rooms have double beds, one extra bed and are equipped with mini bars, air conditioning and cable TV. Bathrooms are equipped with jacuzzi tubs. The restaurant has a hall with 200 seats and two terraces, suitable for celebrations and business lunches. As a special experience we recommend a place that will evoke memories of times when food was prepared in the traditional way. Enjoy the veal and lamb under the bell (sač), homemade bread and attend preparation of those meals. Conference hall with the capacity of 80-100 people is also located within the “Jelen salaš” complex. Wonderful swimming pool is also available for our guests, perfect for cooling off on hot days. 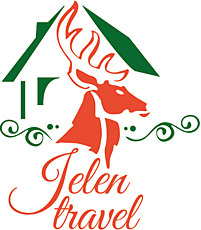 Guests of the “Jelen salaš” may spend pleasant moments out on the terrace equipped with four covered tables and a fountain. Playground is located in the courtyard of the complex. It is equipped with swings, trampoline, slides, seesaws and benches.